The Weeknd is the singer who may be called “the product” of the modern epoch. The musician earned his fame on the Internet: he had just put his songs online. 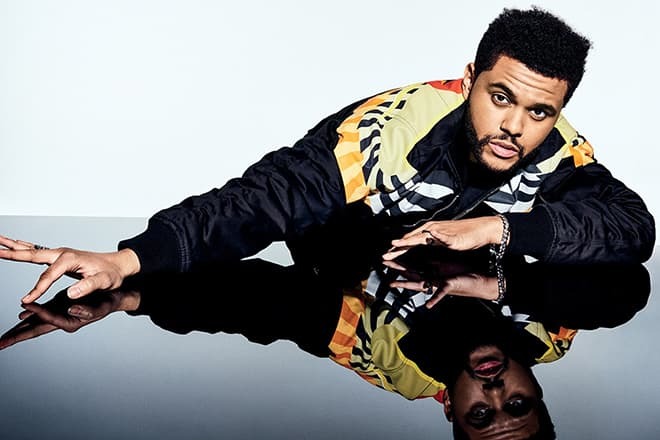 Today, The Weeknd is probably the most popular and promising R&B and pop artist; his songs “High For This,” “Shameless,” “Devil May Cry,” and others are great hits. The singer’s real name is Abel Makkonen Tesfaye. He was born on February 16, 1990, in Toronto, Canada. His family emigrated from Ethiopia in the 1980s. They were poor: the mother had several jobs to support her son and herself while the father did not take part in his son’s upbringing; soon, he left. The boy’s grandmother often looked after the grandson. Thanks to her influence, the singer speaks Amharic, his parents’ language, fluently. Every child needs parents’ attention, but Abel lacked that; as a result, he became a troublesome teenager. The young man had friends with doubtful reputation, smoked marijuana, and played truant. At 17, he quitted school as he planned to become a famous musician. Notably, the ordinary guy’s courageous dream came true later. In the morning, Abel worked as a salesperson in a clothes store; in the evening, he organized concerts with his friends who also were eager to perform on the stage. One day, the future celebrity met Jeremy Rose who was also new in the world of music at that period and craved to become a genius producer. The stars aligned. Impressed by Abel’s vocal talents, Rose offered the young man to perform three songs created for another singer. Abel Tesfaye’s professional career began with those three tracks. It was necessary to choose the name of the new project. Initially, “The Weekend” spelled correctly was the working version, but another music group had already taken it. This is when “The Weeknd” came in: Abel and Rose just took away a letter. The road to success was open. There were little doubts about the music style: instrumental compositions combined with electro motives and Abel’s clear, melodic voice were awe-inspiring. “Loft Music,” “The Morning,” and “What You Need” were the first songs of the rapper. Abel Tesfaye and Jeremy Rose’s collaboration seemed to be brilliant. Still, the conflict occurred soon: Rose who worked not only as the producer but also as the creator of instrumental bridges wanted to be mentioned along with the performer. In his turn, Abel viewed Rose only as a producer and, according to Jeremy, refused to pay for the music Rose had created. Eventually, Abel and Rose parted ways. In 2010, Abel Tesfaye uploaded those three songs on YouTube under the pseudonym The Weeknd. People quickly appreciated these tracks, and word of mouth made the singer popular: users had them on their channels, shared them with friends, and reposted the materials on other social networks. Within a short time frame, The Weeknd became glorious. In March 2011, The Weeknd posted on his website the first mixtape House of Balloons. Music critics gave positive reviews, and the number of Abel’s fans was increasing rapidly. His cherished dream came true. In summer of that year, The Weeknd was touring with his 90-minute show. Journalists and music observers were attracted by the new star and queued for interviews. However, The Weeknd refused to communicate with the media and chose Twitter as the primary means of communication with his audience. In 2011, two more mixtapes, Thursday and Echoes of Silence were presented; both were available for the audience free of charge. The singer’s fan base kept growing. Naturally, producers noticed the star. In 2012, The Weeknd started working with Republic Records that helped him have his first work released: Trilogy included some mixtape materials and three new songs. In a couple of months, this album topped many music charts and became platinum in Canada twice. According to some sources, the number of copies sold exceeded one million. In 2013, Abel started working on the first studio album. The beginning of the year pleased the audience with the compositions “Belong to the World” and “Live For” preceding the album. In addition, the musician went on a tour “The Weeknd” to support the upcoming creation. In September, the long-awaited work came out; it was a success. 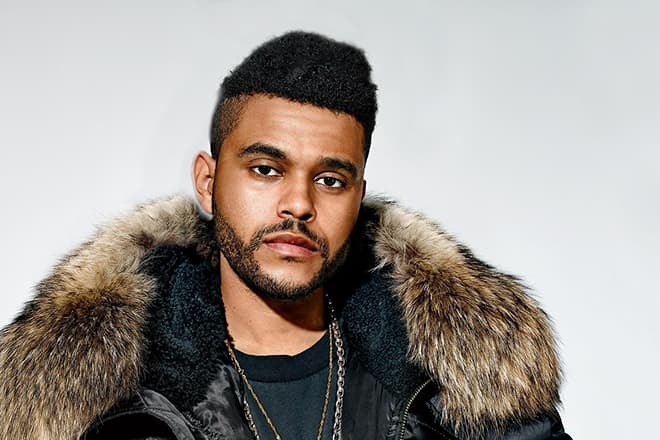 The song “Devil May Cry” which was the soundtrack for the movie The Hunger Games: Catching Fire also contributed to The Weeknd’s popularity. Many stars took an interest in the musician and offered collaboration. For instance, The Weeknd had the chance to perform with Beyoncé and Sia. In 2014, The Weeknd toured again: at that time, he was giving concerts in the United States. ScHoolboy Q and Jhené Aiko were his support team members. The same year, the new songs came out: “King of the Fall” and “Love Me Harder.” The latter song was recorded together with Ariana Grande. In 2016, “Earned It,” the soundtrack for the scandalous movie 50 Shades of Gray with Dakota Johnson and Jamie Dornan, was released. “The Hills” became the next hit of The Weeknd; later, this song was included in his second album. Besides, Abel recorded a track with Kanye West and sang with Beyoncé again. In the course of time, the young man continued to collaborate with other artists. In 2016, the singer announced he was working with the famous French group Daft Punk and recorded a song with Cashmere Cat. The same year, the information about the third studio album Starboy appeared; it was released in November and proved to be as popular as the previous works. The tracks “Starboy,” “Reminder,” “Secrets,” and “False Alarm” became hits and brought Abel new fans. 2016 was also marked with the songs “Party Monster” and “I Feel It Coming”; the latter composition was created with Daft Punk. The Weeknd’s music videos turned out to be equally successful. “The Hills,” “Can’t Feel My Face,” and “Tell Your Friends” created with the talented director Grant Singer are the favorite works of the audience. The relationship with the American model Bella Hadid was the first affair discussed among the media and fans. The woman appeared in The Weeknd’s music video “In the Night.” The young people were always together: they visited concerts and went on romantic trips. They seemed to be the perfect couple. However, Bella and Abel decided to break up in a year and a half. The singer was not single for a long time. At the beginning of 2017, Instagram and other social networks were full of comments to Abel and Selena Gomez’s photos. The rumors were confirmed: the young people were seeing each other. Unfortunately, the affair did not last long: several months later, Abel and Selena split up. Allegedly, the artists could not save their relationship because of their busy schedules and long tours. Soon after the breakup, the media spread the news that both The Weeknd and Selena Gomez came back to their exes. While the actress denied the rumors about restoring the relationship with Justin Bieber, Abel was actually willing to make it up with Bella Hadid. It was not an easy task: the woman had not recovered from the pain. Nevertheless, Abel said he was determined to gain back his lover’s trust. Abel Tesfaye continues to work on new songs and may present his new album. In 2017, the song “Comin Out Strong” with the rapper Future came out; besides, the single “Lust for Life” with Lana del Ray was released.